Monte Carlo, the principality of Monaco, sits a-top the majestic rock of Mont Des Mules, overlooking the pristine Mediterranean Sea. Luxury, sophistication, opulence and grandeur define this famous destination. What better location than the world capital of luxury, to host the first ever exclusive event dedicated to nightlife and fashion: The Monaco International Clubbing Show (MICS) and the Monte Carlo Fashion Forum (MCFF). MICS, was held on Thursday, November 11, through Saturday, November 13. 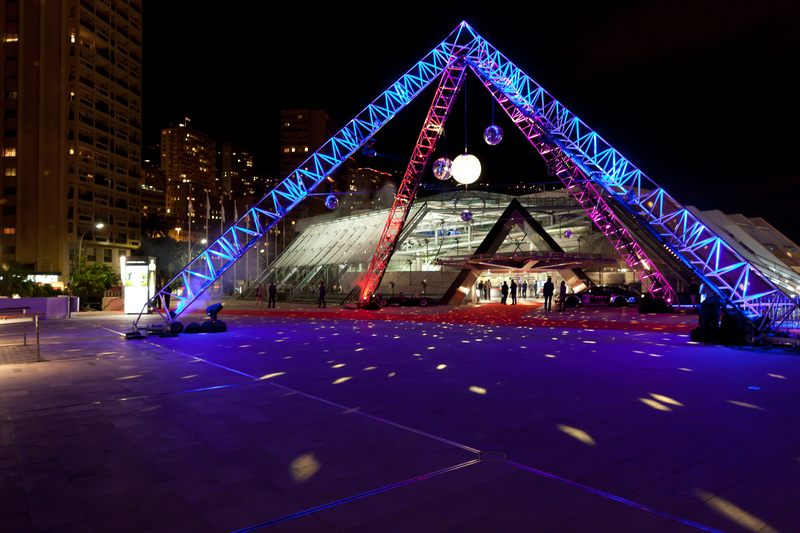 The magnificent Grimaldi Forum, a state-of-the-art cultural exhibition center, was transformed into the world’s largest nightclub. 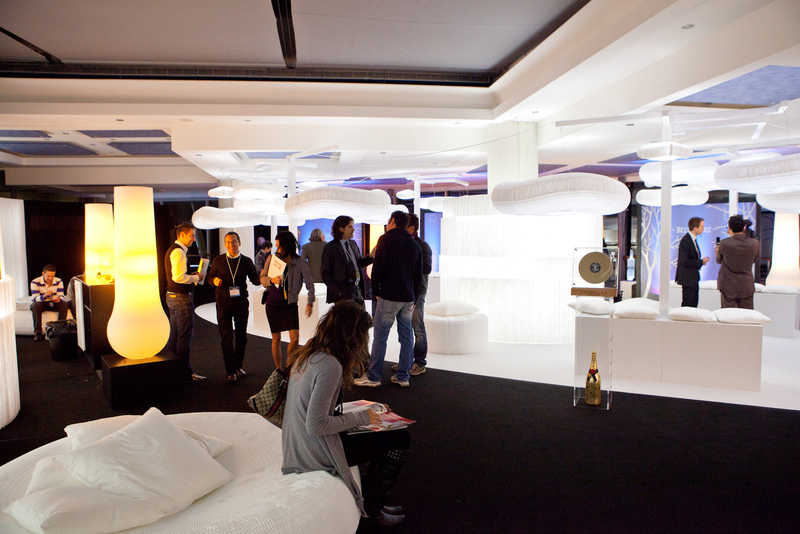 From 2 p.m. to 9 p.m. the Grimalid Forum hosted 12,000 square meters of exhibitions, activities, conferences and networking events related to nightclubs, bars and restaurants. 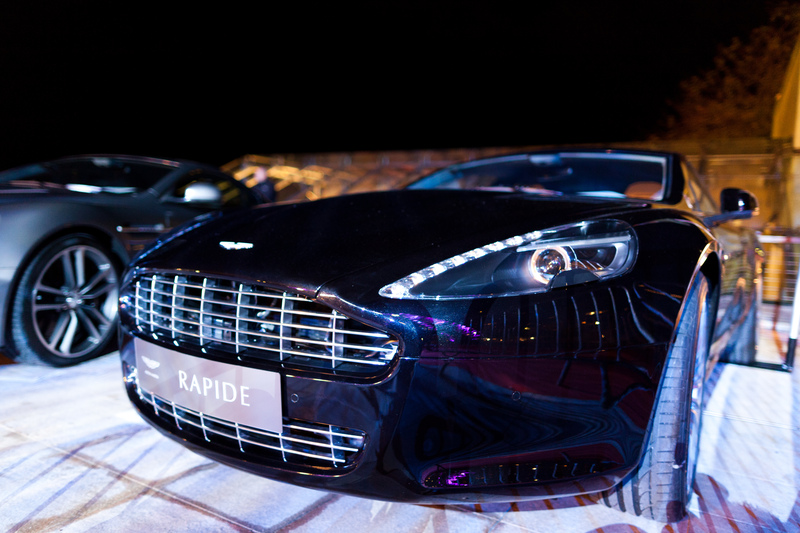 Each brand and venue showcased the latest and greatest nightclub innovations to an international panel of buyers. In order to meet every clubbing establishment’s needs lights and sound, architects, premium alcohol and energy drinks were present to provide answers and innovative solutions. Located at the heart of the main exhibition was the “Premium Club.” Over 100 of the most prestigious alcohols, international nightlife brands and venues created intimate settings to network and sample their avant-garde cocktail concoctions. It was a provocative scene, the most illustrious brands mixing with the omnipresent buzz of dance music in a club-like setting. The mini venues were awe-inspiring and chic. Whether floating away on a white cloud in the Belvedere and Moet & Chandon cloud room or sipping vanilla rum in Pink Pigeon’s feathery haven to drinking a smooth martini in Greygoose’s swanky blue room or stylishly sipping Fashion TV’s vodka there was something to tantalize every clubgoers and music-lovers taste buds! And that was only the beginning! 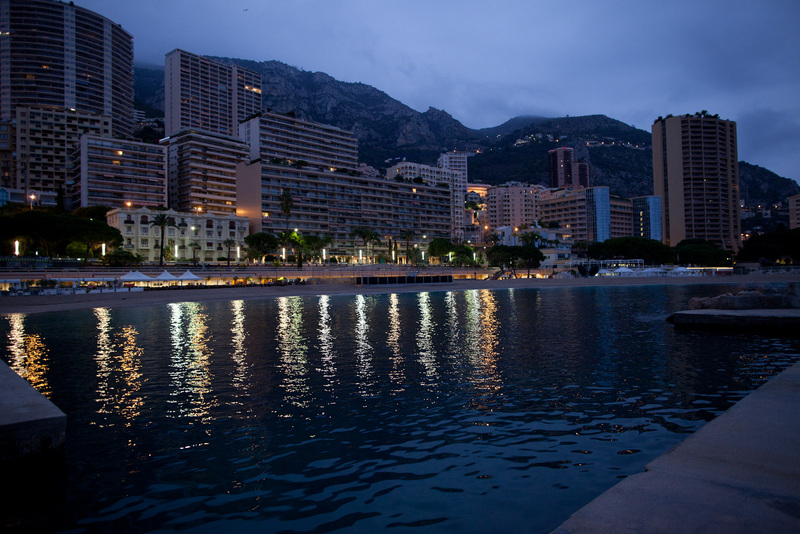 Every night from 9 p.m. to sunrise MICS transformed Monaco into the center of the clubbing universe. Renowned DJs from all over the world including the United States, Ibiza, Dubai and Russia took you on a magical journey from dusk until dawn. Bob Sinclar, Dimitri Vegas & Like Mike, Chuckie and Boys Noize amongst others had the crowd on their feet with their heart-pumping beats all night long. A nightlife extravaganza, an avant-garde fashion forum and an international jetsetter location, MICS you put on an extraordinary event! Check out the incredible pictures taken by Maarten in’t Groen of GreenPictures. 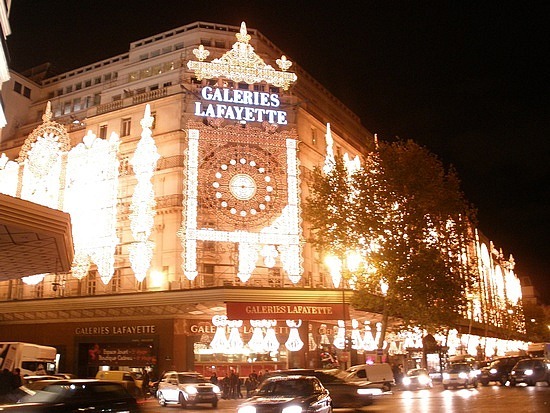 Founded in 1893 by Theophile Bader and his cousin Alphonse Kahn, Galeries Lafayette positioned itself as a trend-setter in the Parisian fashion world from the beginning. 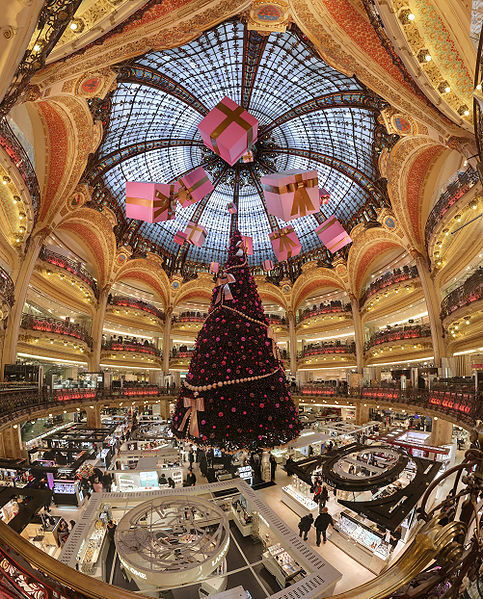 Bader commissioned Georges Chedanne to design the layout of the Haussmann location. 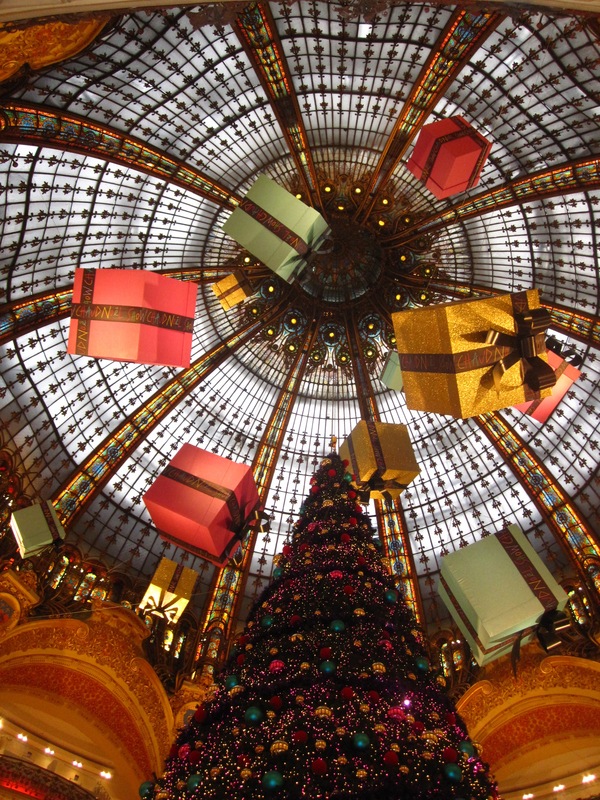 A glass dome and Art Noveau staircases were built in 1912. 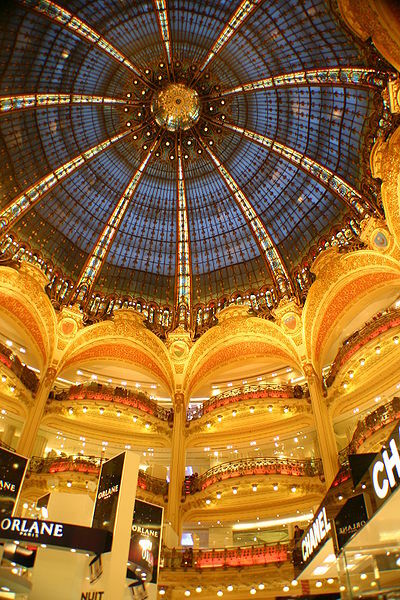 Located in the heart of the Opera district, Galeries Lafayette is an architectural landmark that is one of the most visited sites in Paris. The splendid Neo-Byzantine cupola (glass dome) is a breathtaking historical monument that people from all over the world come to see. The terrace of the building offers a splendid panoramic view of the city. 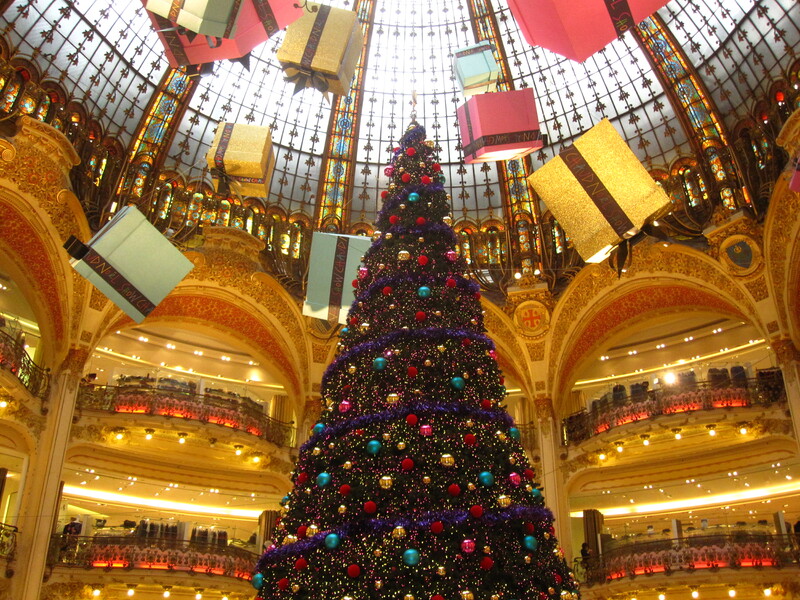 This lavish department store is the fashion Mecca of Paris. It is home to multitudes of famous luxury brands, but also serves as a launching pad for young and upcoming cutting-edge designers. 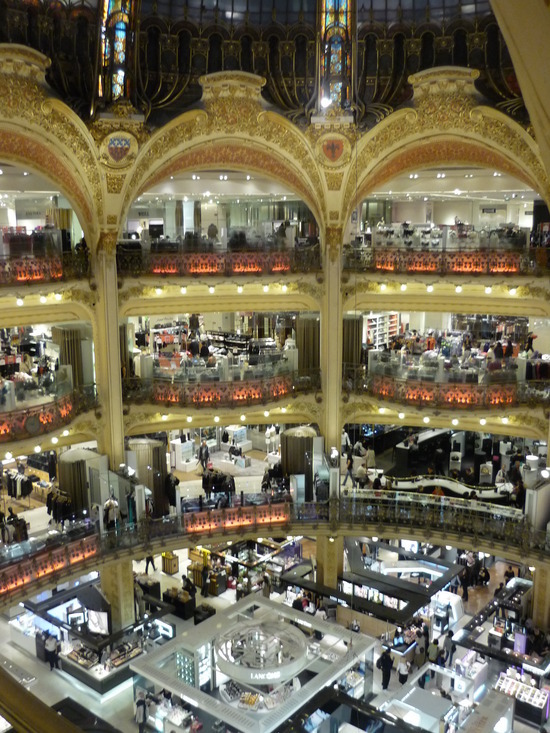 Offering close to 80,000 different labels, it is hard not to find something you will love in this grandeur palace of fashion. Under its Neo-Byzantine cupola resides the world’s largest perfumery, filled with the most sumptuous fragrances from around the world. In the women’s fashion department, free 30-minute fashion shows are held every Friday at 3 p.m. A reservation is required so call (01.42.82.36.40) or e-mail for reservations. Additionally, there are services galore: travel agency, beauty parlour, hair salon, restaurants, bridal & birth registries, florist and gift ideas. 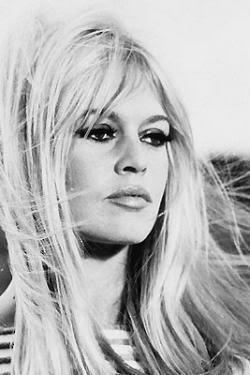 A confirmed Francophile, many of the books I have recently read highlight Parisian history, politics culture and fashion. 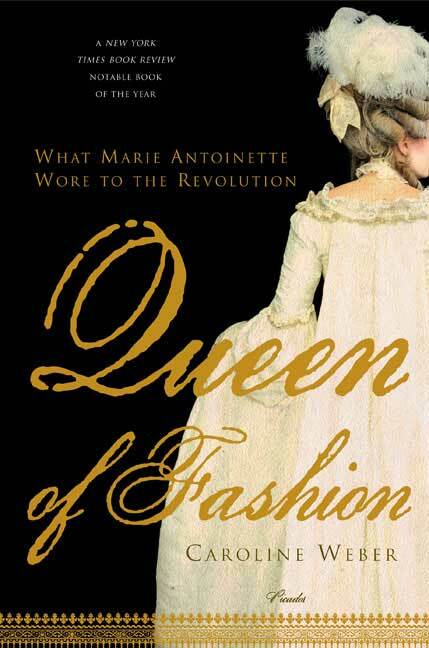 For those of you that share my same love, I highly recommend you read Queen of Fashion: What Marie Antoinette Wore to the Revolution, by Caroline Weber. Caroline Weber is a specialist in eighteenth-century French literature and culture, with a particular emphasis on the Enlightenment and the French Revolution. She received her PH.D. in French Literature from Yale University and her BA in Literature from Harvard University. Currently, she is the associate professor of French at Barnard. Listen to the New York Times book review podcast with Caroline Weber. Caroline Weber’s scholarly book, Queen of Fashion, is endlessly fascinating to me. 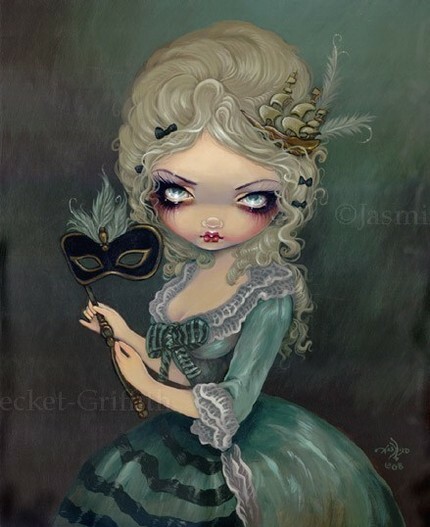 In it, she describes the volatile interplay of fashion and politics during Marie Antoinette’s reign. 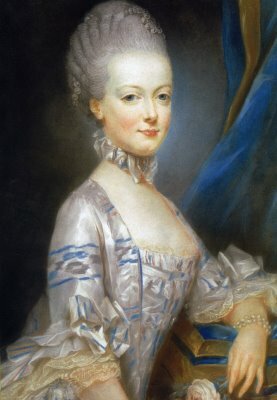 She also demonstrates the importance fashion had on French politics and culture and offers insights into the role style and fashion played in Marie Antoinette’s fate. Queen of Fashion paints a rollicking account of a defiant queen, frivolous, politically audacious, and sadly, inevitably doomed. A queen whose illustrious fashions would bring the fabric of change before France. Weber does an excellent job of explaining the political controversies that Marie Antoinette’s clothing provoked. She embraced her death the way she embraced her life, courageously, valiantly and recalcitrantly. 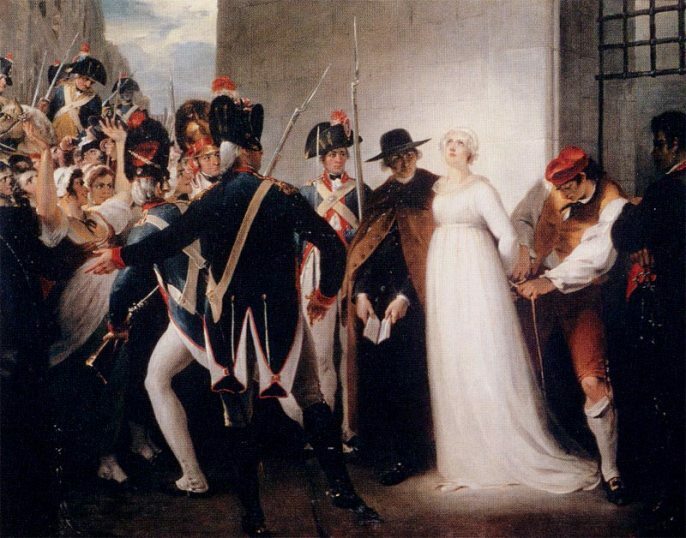 At the age of thirty-seven, stripped of all royalness, the guillotine waiting, Marie Antoinette in all white, triumphantly and gallantly marched to her death. Ignite your senses, tantalize your taste buds, visually stimulate your mind and be transported to a world of couture and chocolate. 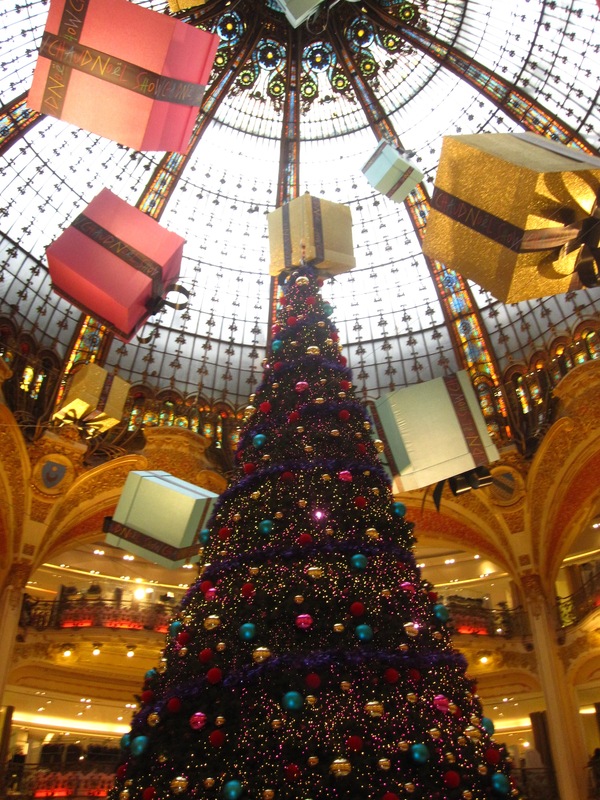 Salon du Chocolat, is the event for all you sweet tooth’s and fashionistas! The 16th annual Salon du Chocolat was held from October 28 to November 1, at the Porte de Versailles in Paris. Over 400 exhibitors participated in this fabulous trade show. Salon du Chocolat is the official chocolate trade show of Paris, the rendezvous for all chocolate lovers, including enthusiasts, chefs, professionals, designers and anyone with a sweet tooth. The extraordinary fashion show, known as “Chocolate Trends,” combined avant-garde designers, the precision of chocolatiers and the ingeniousness of many countries. The couture collections were visionary, scrumptious and most importantly benefited a worthy cause. In collaboration with the Ethical Fashion show, the Salon du Chocolat combined biodiversity with organic chocolate dresses. The countryside chic meets eco-friendly fashion was truly innovative and inspirational. The fashion parade benefited an association promoting sustainable fashion: Universal Love.